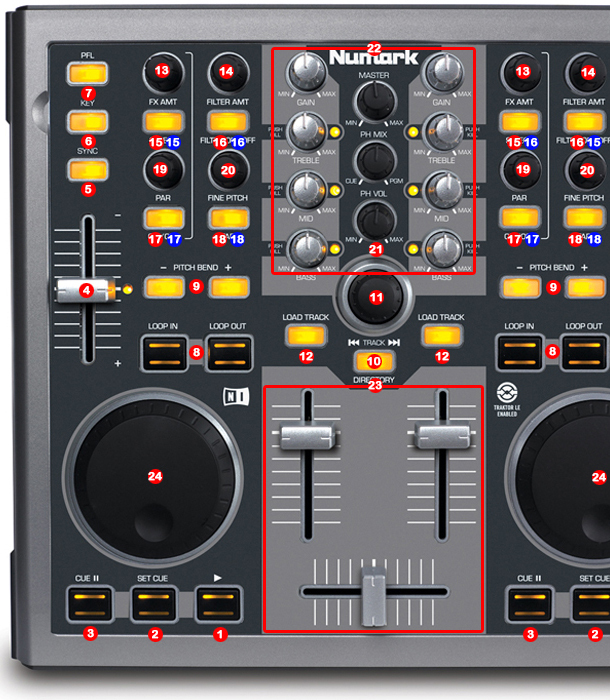 The system must recognize your Numark Total Control before configuring in DJ ProMixer. 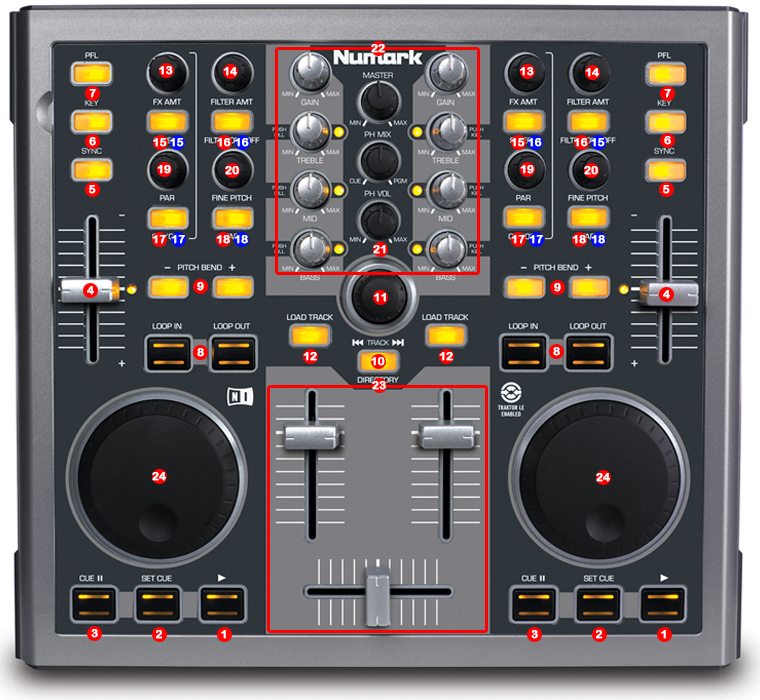 IMPORTANT: Numark Total Control is a MIDI Device (have not integrated audio device/s) For audio configuration choose your work mode and audio sound card/s). 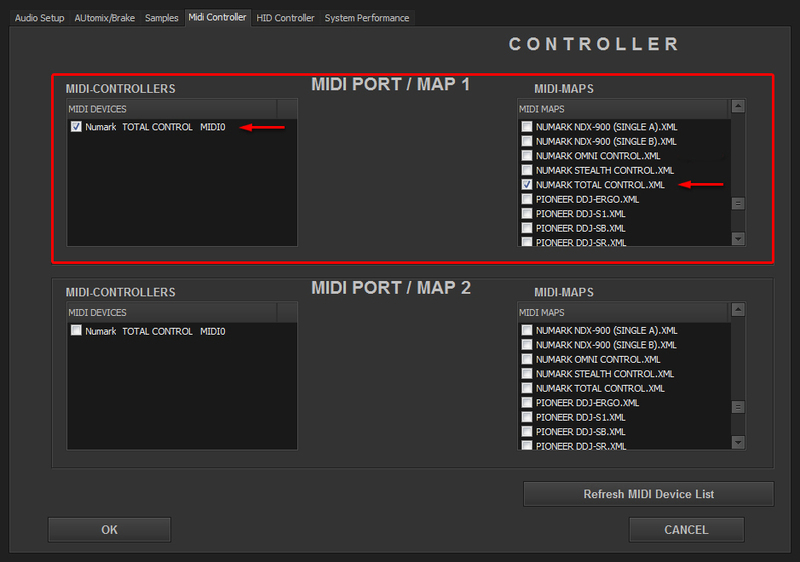 In “Config” go to “MIDI Controllers” and then select in MIDI PORT / MIDI MAP 1 on the left side one device (Numark TOTAL CONTROL MIDI0) and select on the right side NUMARK TOTAL CONTROL.XML. MIDI PORT / MIDI MAP 2: Nothing Selected. This entry was posted in Compatible Hardware and tagged DJ ProMixer, MAP, MIDI Controller, MIDI Controllers, MIDI Device, MIDI MAP, MIDI PORT, Numark, numark-Total-Control, Total-Control by DJ ProMixer. Bookmark the permalink.